The 1/4" Phenolic Orbit Keyboard Tray and Pad w/ Dual Swivel Mouse Trays and Lift and Lock Arm accommodates almost any work space arrangement. When it comes to workplace ergonomics, a challenging desk configuration doesn’t have to challenge your comfort. This tray will fit in a diagonal or radius corner with any of Sunway’s keyboard arms and it has been tested to work in a 90° corner when used with Sunway’s ARMTCH-G keyboard arm. 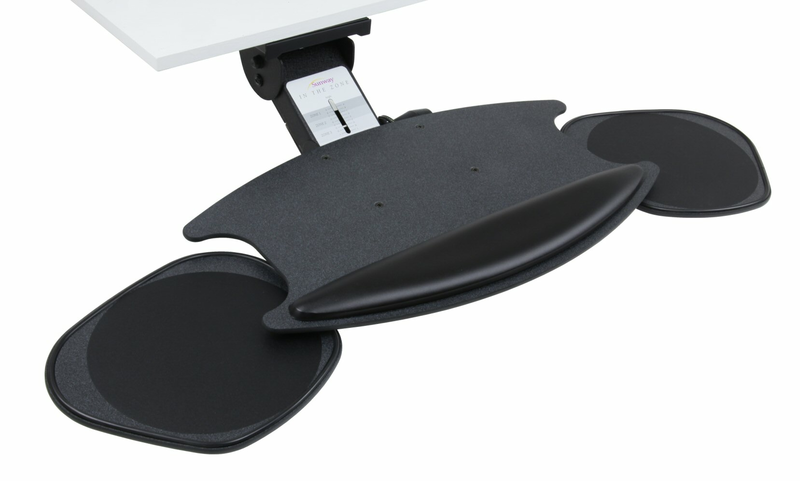 For extra functionality, optional swivel mouse trays can be added to one or both sides of the tray.